This is one of the dishes I enjoy preparing for my family as it is not only easy for the cook, it also makes the family happy. A win-win situation! How ideal! It is also a versatile dish as it works for other meats like pork and chicken. 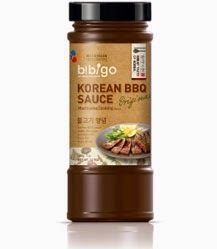 1) Marinade the beef for at least 3 hours with the Korean/ Japanese Sauce. I used this last night when I cooked this dish.. But other times, I usually use the Japanese marinades. For me, I use whatever I have in my fridge and is in need of clearance. 2) Slice up one large yellow onion. Last night, I used shallots as I didn't have yellow onions at home. So once again, its still fine. Don't beat yourself up just because you lack an ingredient. Cooking is meant to be fun and creative. If you lack something, just be flexible and think of another substitute. The shallots work beautifully too! 3) Add butter into the pan and then add your onions. Caramelise first by tossing it around. I add a splash for Jap sauce on it too. It's to quicken the process of cooking the onions and making it tastier. 4) Add the sliced beef in it. This would not take too long. You would not want to overcook the beef and dry it out. I pour all the marinades in as well so that there will be gravy for my rice. 5) Fry the egg with butter on another pan separately. Sunny-side up! 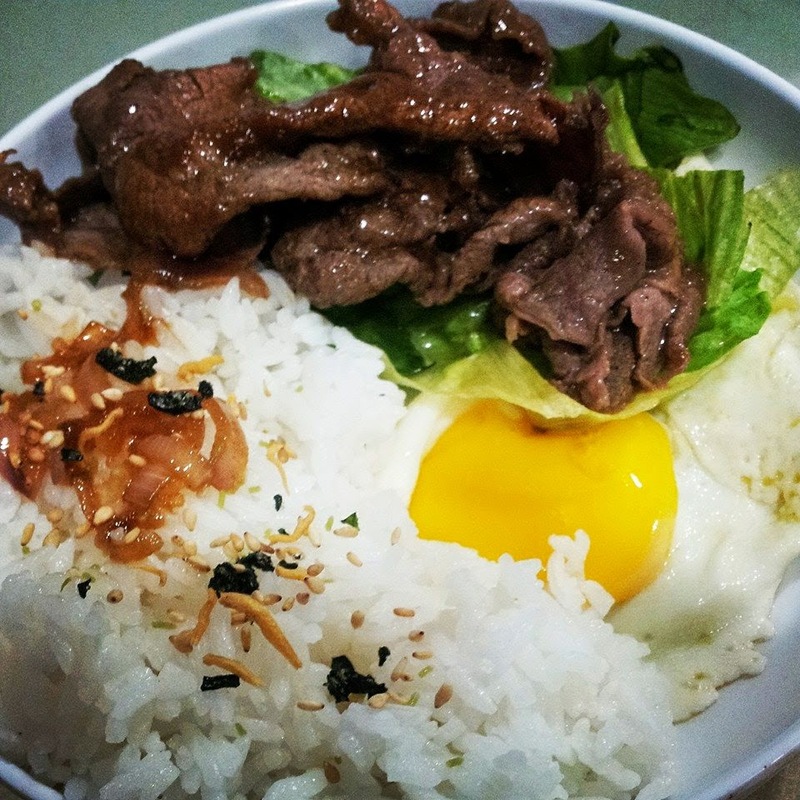 8) Add your rice, sunny side up egg, lettuce on one side with the beef on top of it to cook the lettuce a little. Then top the rice up with some Japanese seasonings which I bought and gravy from the beef.